If you’re only waking up to the news now, the first supposed Dota 2 Major of 2018, to be held at the Philippine Arena come January 19-21, is no longer a Major tournament, or rather not part of the Dota Pro Circuit. This comes as HUGE news to both fans and teams alike who were looking forward to intense Dota 2 action in front the the most hype audience in the world. So what happened? 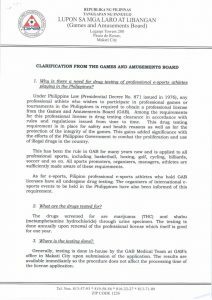 As per the announcement – “As for e-sports, Filipino professional e-sports athletes who hold GAB licenses have all undergone drug testing. 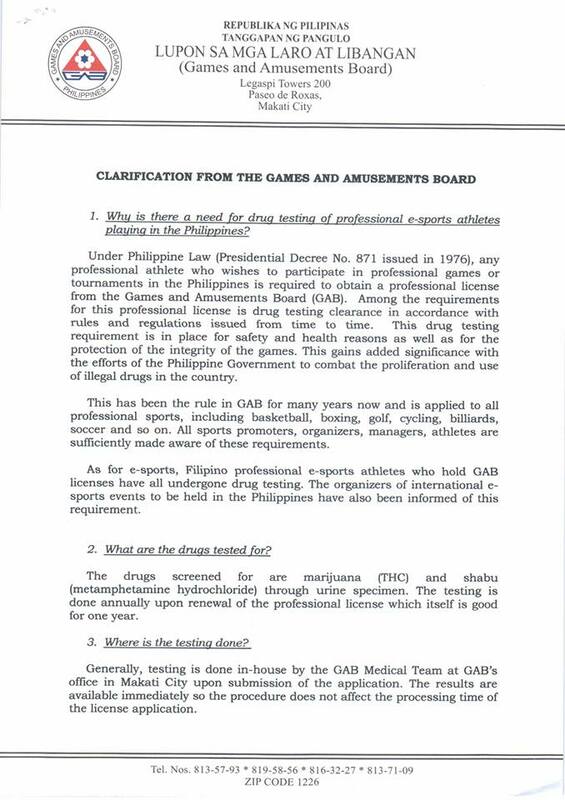 The organizers of international e-sports events to be held in the Philippines have also been informed of this requirement.” This means also that all teams competing for e-sports events in the Philippines will have to undergo a certain drug test to meet the standards for professional athletes, which we will assume as what Valve was pertaining to when they mentioned “unreasonable infringements”. International teams may pull out of the event even if the Galaxy Battles tournament pushes through. Teams are already on a very rough schedule as it is and with their ultimate goal being TI8, then a tournament that will not hand them qualifying points is not a good way to spend their time. They COULD battle it out for the money, but that’s about it. 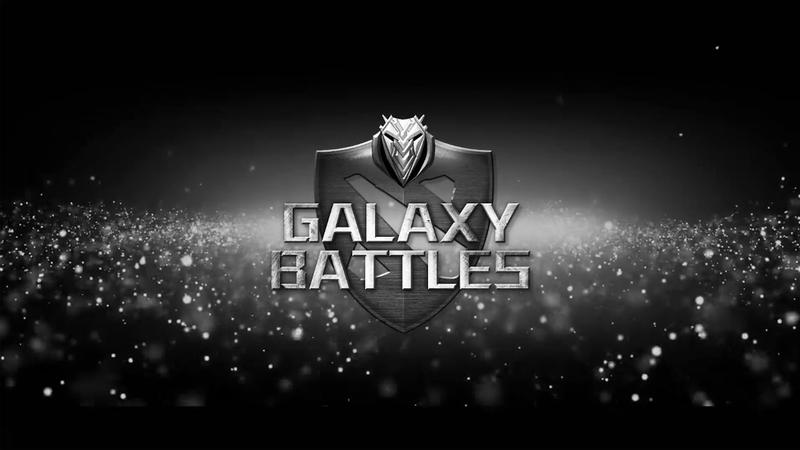 Galaxy Battles has yet to put out a formal announcement from their side. Will the tournament push through or not? Will the teams still fly in or not? Will the prize pool remain the same? Will audience be offered refunds? Much questions arise and it would be great if the organizers can put out something to put the minds of everyone at ease. 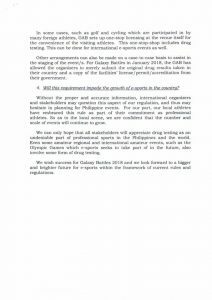 International Dota 2 and e-sports events in general in the Philippines will be a challenge to set up. 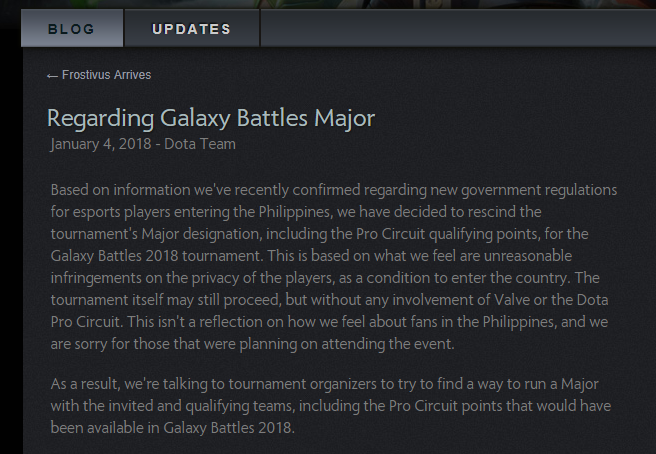 Due to the ruling from Valve, consider the Philippines to not have any Dota Pro Circuit events in the near future. This is a far cry from the previous events where we had the Manila Major, ESL One, and many other events over the past years. While it’s not impossible, it will surely be a tough road ahead for event organizers. Local e-sports tournaments may be affected as well. 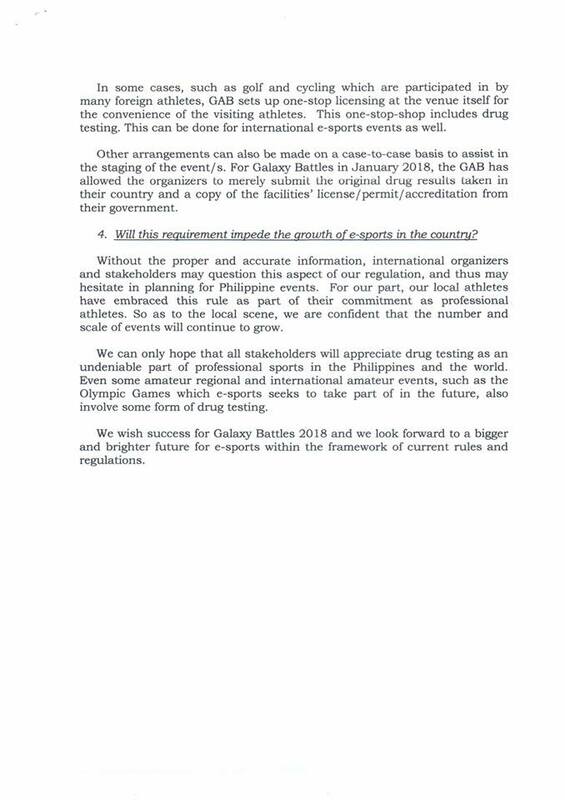 We say “may be” because we aren’t sure yet, but if the GAB is to hold these rules fairly for all concerned, then local events and “athletes” shall have to undergo the same criteria as with international participants. Esports has been BIG over the past few years and, with a meteoric rise seen this 2018, this really puts a damper on everything. So many companies have poured effort and money into the industry and to see this happen can only mean that we’ve taken a few steps back away from the right direction. For whatever it is, we can only hope that the Geek industry doesn’t suffer greatly from this. What are YOUR thoughts on the what happened? Do you agree with our thoughts or do you have another opinion on the matter? Let us know in the comments below. Next articleFight for the galaxy with the Sony PlayStation 4 Battlefront 2 Bundles!